Dr. Lewis, Professor of Orthopaedic Oncology, attended Yale University and graduated with a degree in Psychobiology. She then matriculated at Harvard Medical School, graduating with honors. 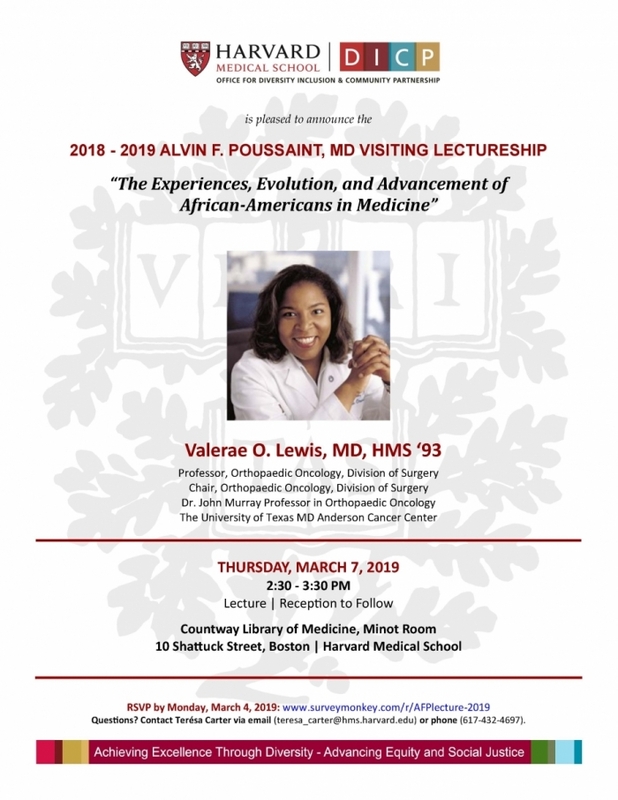 Dr. Lewis completed her Orthopaedic training at the Harvard Combined Orthopaedic Residency Program in Boston, MA and her fellowship in Musculoskeletal Oncology at the University of Chicago. In 2000, Dr. Lewis joined The University of Texas, MD Anderson Cancer Center. Moving through the ranks she was named the Dr. John Murray Professor in Orthopaedic Oncology in 2010. Currently, and for the past ten years, Dr. Lewis serves as Director of the Musculoskeletal Oncology Fellowship Program at UTMDACC, developing this program into one of the most sought-after ACGME accredited musculoskeletal oncology fellowships. A trailblazer, Dr. Lewis has many firsts to her credit including: first African America woman to be awarded the MD Anderson Faculty Achievement Award in Patient Care (2012); first woman to chair an orthopaedic department at a freestanding cancer center (2014); first woman to chair an orthopaedic department in The University of Texas System (2014); and the first African American woman to Chair an Orthopaedic Surgery Department. Dr. Lewis’ reach is national and international as an active member of the American Academy of Ortho-paedic Surgeons (AAOS), American Orthopaedic Association (AOA), the Musculoskeletal Tumor Society (MSTS), the International Society for Limb Salvage (ISOLS) and the Western Orthopaedic Association (WOA). Dr. Lewis is a strong advocate of education having served on the MSTS Education Committee and as Chair of the AAOS Instructional Course Lecture Tumor Subcommittee, and currently as Chair of the content committee for the AAOS Council on Education. Additionally she served on the boards of the American Orthopaedic Association, the Western Orthopaedic Association, and as President of the Western Orthopaedic Association. Dr. Lewis’ expertise is in treating children and adults with bone and soft tissue sarcomas of the pelvis and extremities. In 2011 she started the Multidisciplinary Pelvic Sarcoma Program at MD Anderson Cancer Center that not only addresses the clinical needs of this unique group of patients, but works to improve both the clinical and functional outcome of patients with pelvic sarcoma. Her research investigates gene functions tied to osteosarcoma and the development of treatments that might interrupt this process.